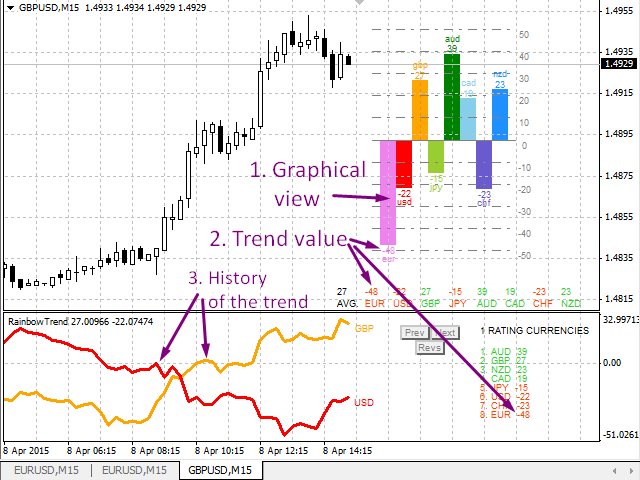 A visual indicator of the trend and strength of the currencies in the form of histograms and tables on the main chart, graph of the changing trends of currencies and unit of analysis in an additional chart window. 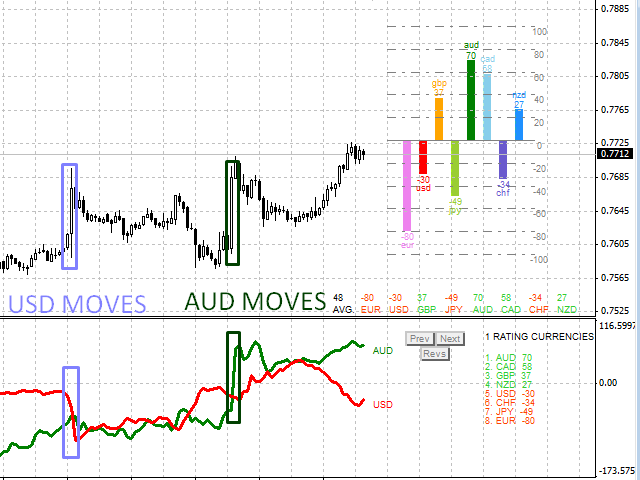 Analyzes 28 currency pairs formed from the 8 major currencies (EUR, USD, GBP, JPY, AUD, CAD, CHF, NZD). 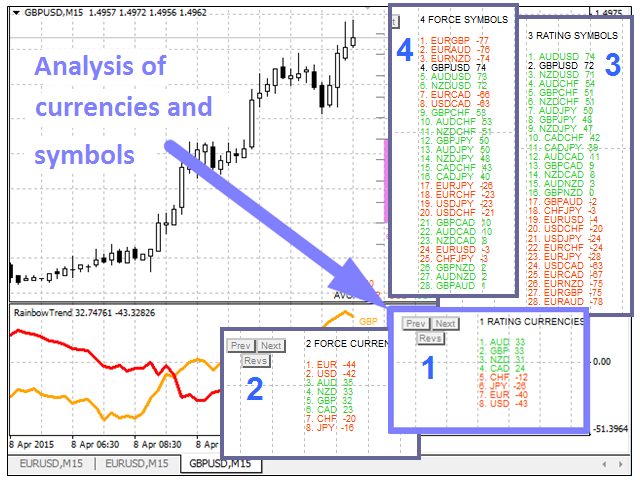 Analyzes currency in one of the selected modes (Unit of analysis). 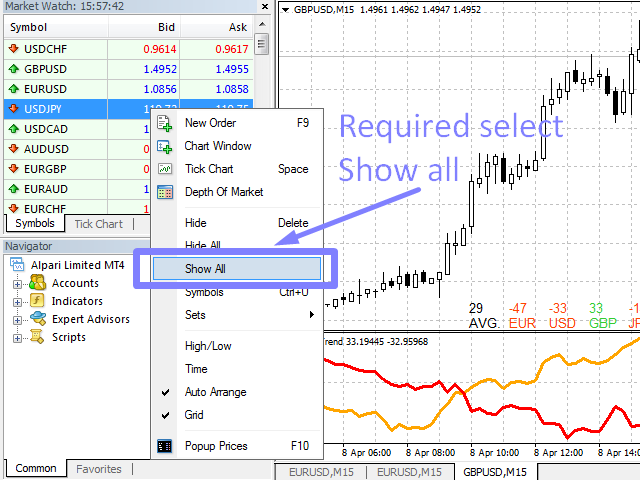 The unit consists of a list of analysis results and buttons. 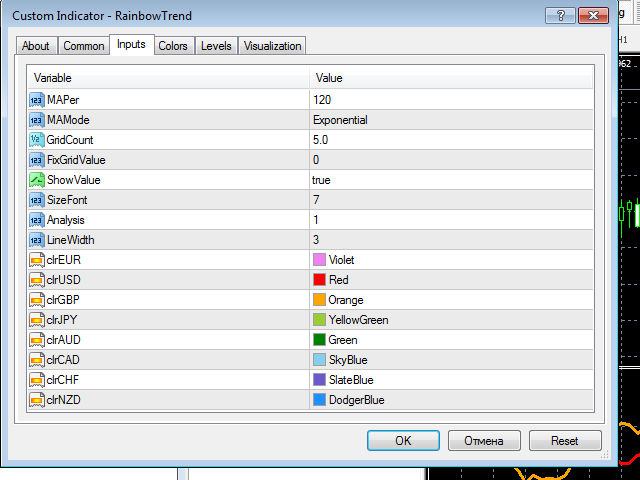 The default analysis mode can be set through the Analisis parameter. 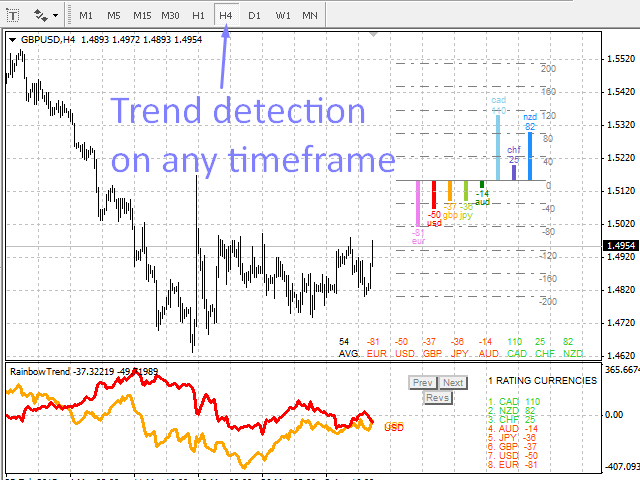 Use buttons Next and Prev to switch between the analysis modes. 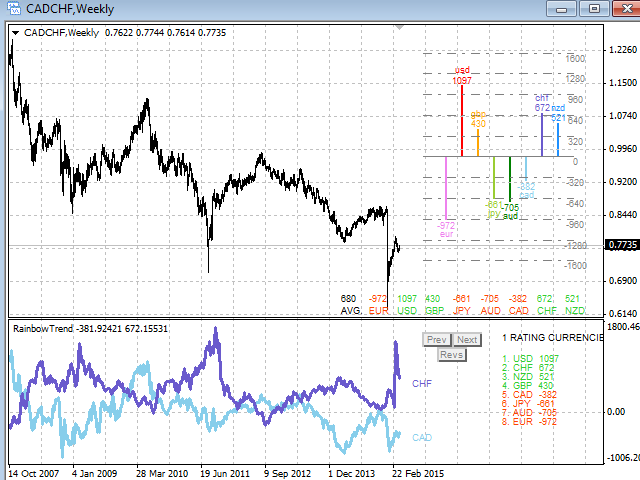 Button Revs reverses sorting of the rating. 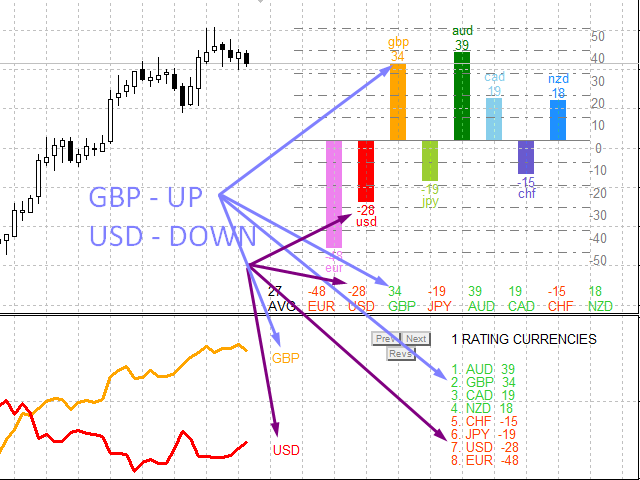 Buy/sell symbol if the strength of the trend id above/below a certain level (for example 50 for the M15 chart). 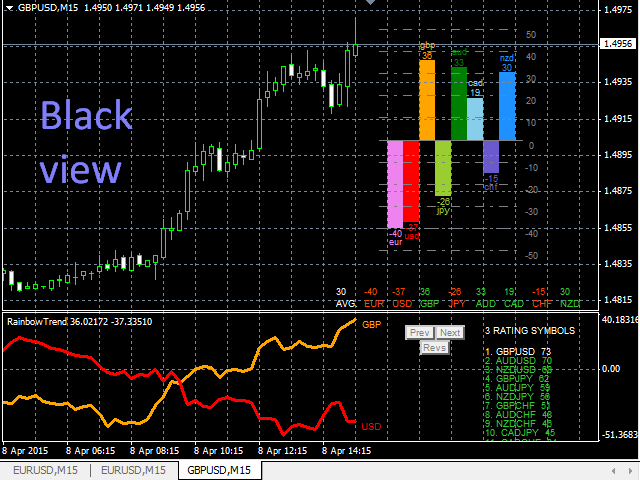 For a correct operation of the indicator, open all of the symbols in the Market Watch window. 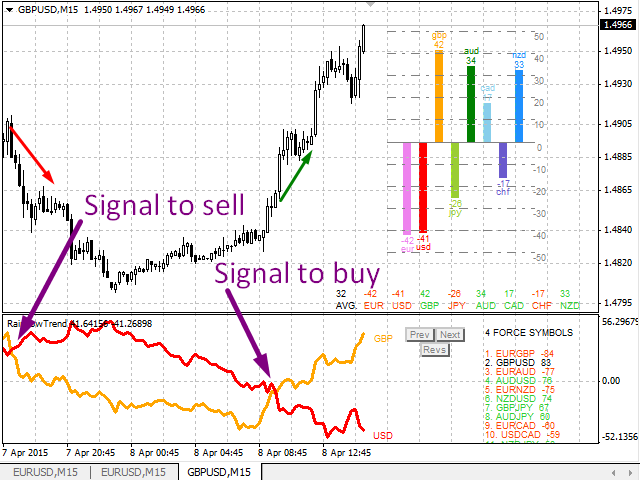 Some time is required to download data for all currencies from the broker's server, so the indicator can be changing, until all the data is loaded. 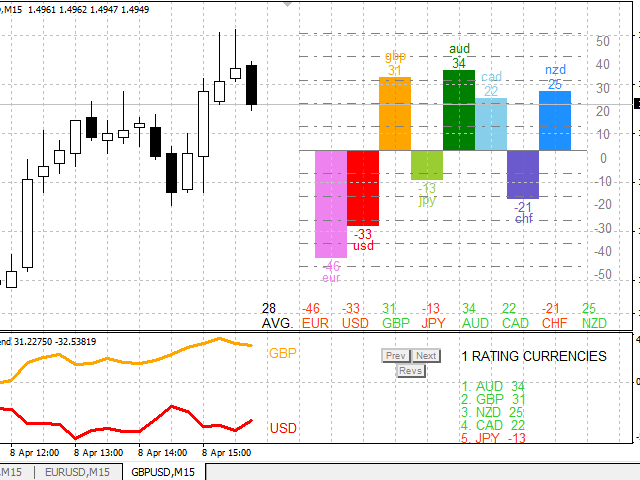 In the strategy tester, the indicator works only in the static mode. clrXXX - color of the currencies. Added PreFix and SufFix parameters to work with symbols containing prefixes and suffixes.